International sand artist Sudarsan Pattnaik has welcomed the 2018 Men's Hockey World Cup by creating a sand sculpture at Puri Beach in Odisha. Depicting a traditional Boita (boat) through sand sculpture, the message on the same read, "'Welcome to Odisha, Hockey Men's World Cup 2018." The sand sculpture was created on the occasion of Kartika Purnima which signifies Odisha's glorious maritime past. 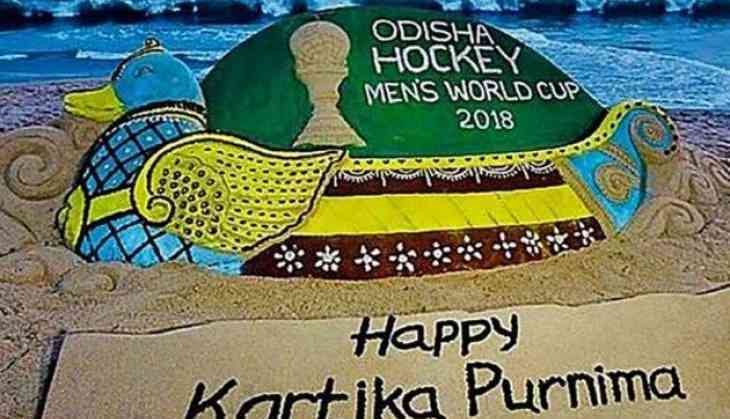 Taking to his official Twitter handle, Pattnaik shared the pictures of the sand sculpture writing, "#HappyKartikaPurnima, Odisha's glorious maritime past, My sand art, where the past represented by traditional "Boita" meets the present with #Odisha hosting the #HockeyMensWorldCup2018." The 2018 Men's Hockey World Cup is slated to be held from November 28 to December 16 in Odisha.